Entries are being invited for the Arts Centre Group Playwriting Awards 2017, which has the theme Faith within a contemporary context. The organisers are looking for 30 minute one-act plays on the theme. The play may cover any aspect of faith eg Women and the church; Faith in pop culture; Faith and the atheists; Faith and politics. Music and song may find a place in the script, but should not be in total more than around seven minutes. The script should not have been performed within a professional theatre context nor published in any other way than a personal manner by the author, by email, included on a blog or writer’s forum. You may enter more than one script. Entry fee for students and unwaged is £10 per text, otherwise £20 per text. A detailed commentary on a script can be given for an extra fee of £25, and will be by someone much involved in the theatre. An application form can be downloaded as a pdf here, or obtained from the ACG office, click here for contact details. Copyright of the play remains with the writer but the winning authors give non-exclusive right to perform their plays to an invited audience as part of the award for this competition. For each submitted text, the writer should give a brief synopsis of their aim and purpose. The play should not have more than five characters, and can be a monologue or double-hander. It can be in any style. Texts will be read by at least three people involved professionally and representing various theatre aspects. Their names will be made public in due course. 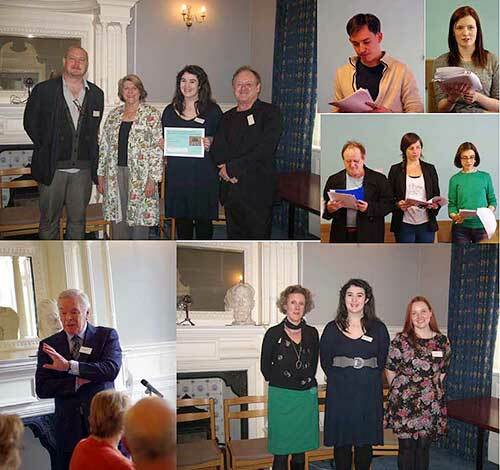 • The ACG Award for Young Playwrights – aged 21 or under. Prize £300. • The ACG Award for Playwrights – any age. Prize £100. In addition the winning plays will be given a play reading in a London location by professional actors. The Competition Administrator is author, broadcaster, playwright and actor Tony Jasper. Scripts will be judged by a team of distinguished judges, including theatre directors and producers. Closing date for entries is 11 September 2017. Click here for full details of How to Enter.